Nick Zelinger, NZ Graphics, and Carol Naff, Mariner Company, are collaborating to launch Oil Legends of the Rockies by John Barton. 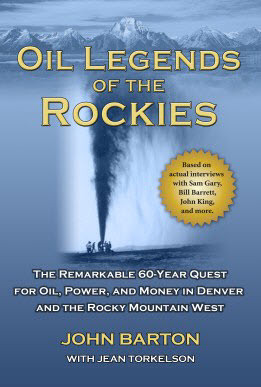 Oil Legends of the Rockies is the riveting tale of the search for oil, power, and money in Denver and the Rocky Mountain West. Based on actual interviews with the industry’s legendary giants—offers an insider’s look at the remarkable quest for energy, wealth, and fame. Available soon at Amazon.